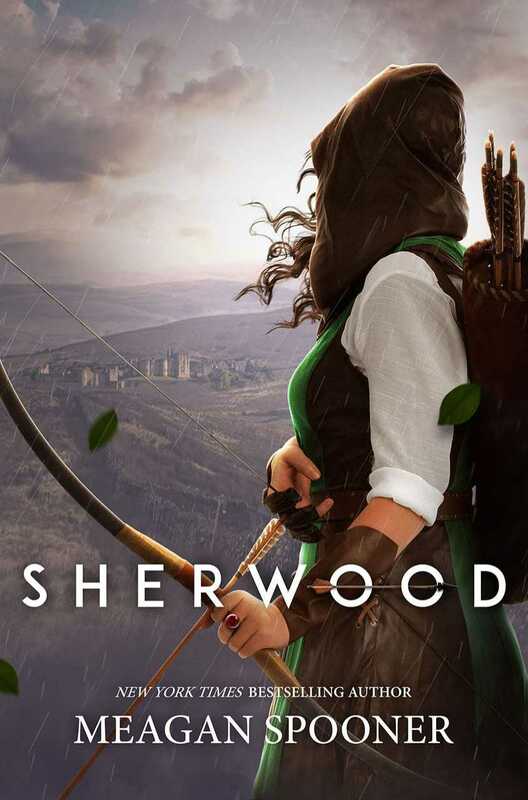 A new hero rises, sparking hope for the people of Locksley in Meagan Spooner’s SHERWOOD. Robin of Locksley is slain and his betrothed, Maid Marian is devastated. Robin has been her closest friend since childhood, he was the man with whom her future was entwined. With Robin gone, Locksley loses their protector as the Sheriff of Nottingham takes more and more from the coffers of those who have so little. Worse yet, Guy Gisborne, the Sheriff’s right hand, intends to take over for Robin as both Lord of Locksley and fiancé to Marian. Marian, who cherishes her freedom most of all, never intended to don the green cloak, but undoubtedly finds herself hidden within its billows as she tries to save a friend. Guided by Robin’s spirit and aided by her superior archery skills, she soon becomes Robin Hood. Whispers spread amongst the townspeople, adding fuel to spark, becoming a beacon for those who need it the most. Meanwhile, the scarred and terribly Guy Gisborne will stop at nothing in his quest to unmask and capture Robin Hood. Soon enough, Robin Hood (Marian) will indeed come to blows with Gisborne, but the outcome will be far from what each expected. Spooner cleverly imparts a fierce, gender-flipping adventure with heists and archery aplenty. I absolutely loved HUNTED and thus SHERWOOD was one of my most anticipated reads of the year. But perhaps due to my very high expectations, the story didn’t quite deliver what I had hoped. Much of the book felt slow to me, with the most interesting storylines unraveling in the last 30% or so of the book. Some of the choices she made were so good, I wish she would have planted some of those seeds earlier in the story to better grab my attention. I flew through the last part of the novel, but as a whole, just hoped for more. Meagan Spooner is such a fantastic writer—as I mentioned, I love HUNTED and her books written with Amie Kaufman, and so I plan to keep reading more from her and do hope she gives us another retelling in the future!